Our Pizzas have a complex aroma, similar to that of the scent of freshly baked bread. The sweetness and slight acidity of the tomato combined with the softness of the mozzarella and the fruity yet sharp flavour of the extra virgin olive oil are complemented with the scent of fresh basil, oregano and garlic. This ensures that we stay loyal to the Neapolitan Masters who created pizza in exactly the same manner hundreds of years ago. Our pizza will have a deep red colour clearly visible and as a result of the tomatoes that we use. This will be perfectly amalgamated with out extra virgin olive oil. There will be a scattering of mozzarella which will be white in colour. In the centre there will be the green of the basil leaves, in some cases darkened by the baking process. 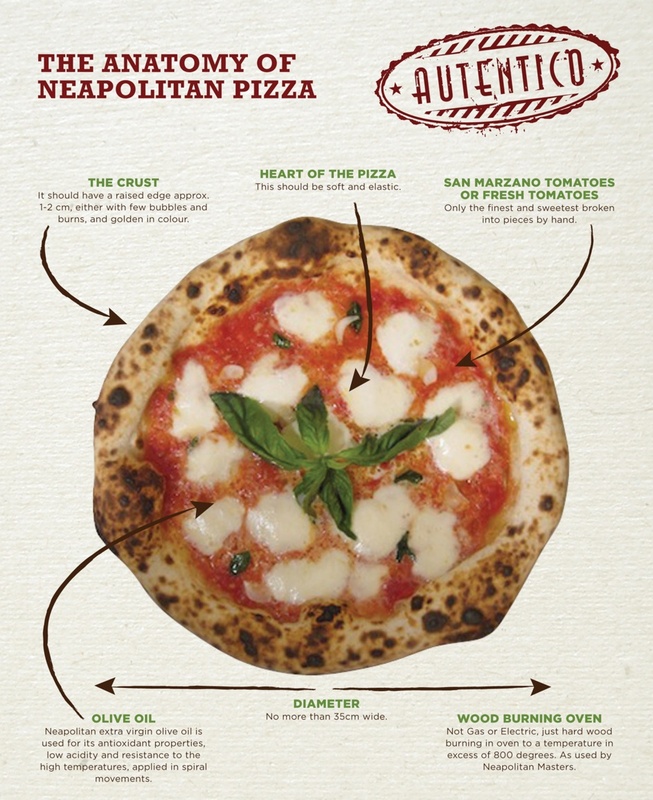 You will find authentic Neapolitan Pizza to be soft, elastic, with a unique flavour as a result of the combination of the most authentic of ingredients. Imagine well cooked bread that rises with the sweet slightly acidic taste of fresh tomatoes which has lost some of it’s excess moisture and is a result more dense; the elasticity, smoothness and freshness of the cooked mozzarella, the bitterness and sharpness of the extra virgin olive oil, and finally the freshness of basil. All the above combine together to result in a taste that will be intense and easily digestible.